I used MZ Tools to create and implement a standard error handling routine in my application. sysErrorHandler Err.Number, Err.Description, "$P[CODE_ELEMENT_NAME]", "$P[PARENT_CODE_ELEMENT_NAME]", "$P[CODE_ELEMENT_KIND_KEYWORD]"
I can use MZ Tools to put line number on all of the statements. My question is is: How to I pull the line number of the line where the error occurred? 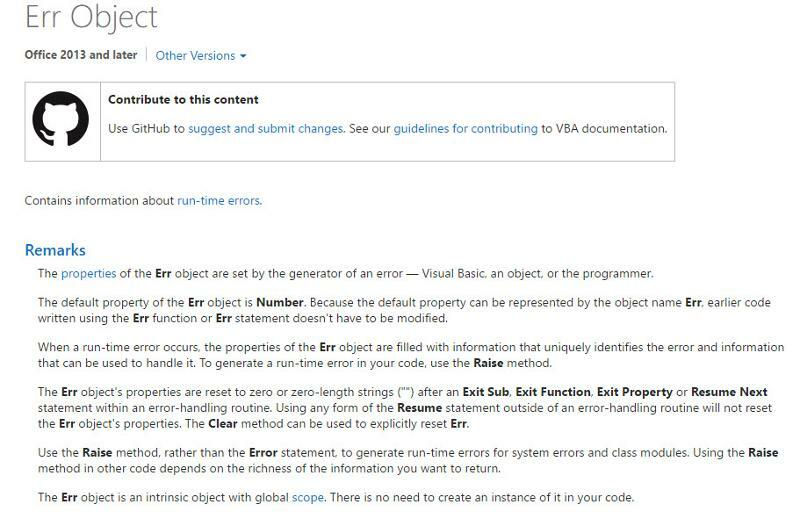 yes, the err object is, but never the VBA.ERL call to my knowledge.